Father’s Day is just around the corner. And what better way to thank our fathers for their unwavering support and sacrifices than making them feel super suave on their special day? “It comes only once a year, and many people do not realize how men all over the world eagerly look forward to Father’s Day because it is one of the rare times that they get the attention they deserve, “says RJ Buenaventura, Philips General Manager for Personal Health. “You’d be surprised how much fathers look forward to what they’ll be getting on Father’s Day,” says Buenaventura. Other than your dad’s birthday, Father’s Day is one the few occasions where you get to show him how much he is appreciated. Grab the opportunity to thank the big man and mark June 21, Father’s Day, on your calendar this year. While uttering a simple “Thank you,” “I love you,” or “Happy Father’s Day,” or giving them a kiss or a hug can warm the hearts of dads, a gift or two would make their day extra special. It is not very often that fathers receive something useful and practical, something that addresses their everyday needs or wishes. Make them feel that Father’s Day vibe each day of the year with some well thought gift ideas from Philips. The Philips Aqua Touch Shaver is surely something every father will appreciate. “The Aqua Touch Shaver is simple, light and compact,” says JC Gallegos, Business Development Manager for Personal Care at Philips. 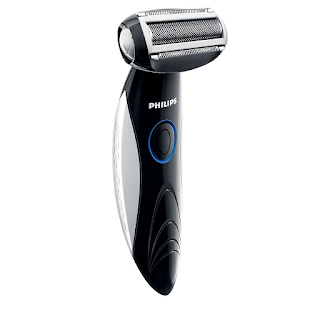 “The advanced three-headed Philips shaver AT610/14 with Close Cutheads and wet/dry operation is craftily designed for a close shave that’s guaranteed to take his shaving regimen to the next level,” Gallegos adds. Another unique gift idea is the Philips Bodygroomer, an all-in-one body grooming system designed for safe and efficient trimming and shaving, without any irritation or risk to sensitive areas. 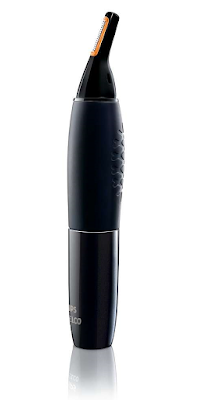 Yet another unique gift idea is the Philips NT9105/15 Nose Trimmer. Now, you can tell dad to put his tiny scissors and tweezers away for good because the big dog is about to learn a new trick. The Philips NT9105/15 Nose Trimmer, Gallegos says, uses a powerful precision micro-trimmer for a safe, fast and easy grooming experience. Father’s Day is the best opportunity to give our dads a fresh new lifestyle, and fathers of all ages will surely find a Philips personal grooming gadget the perfect, practical gift to warm their hearts.